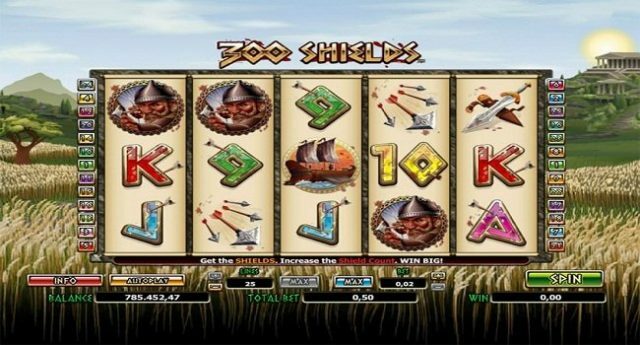 300 Shields Slot is a mobile video slot game of 5 reels and 25 paylines powered by Nextgen software platform. NextGen software is one of the leading online casino software platforms in the world these days which attracts thousands of new players daily. The slot 300 Shields is one of their best slot game for which coin sizes can range from 0.02 per spin to 5 per spin. 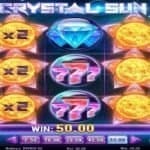 This slot offer a jackpot of 250 coins on your total bet and return of player percentage i.e. RTP is 95.30%, which is not bad at all. 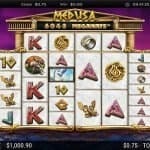 This slot is all about ancient conflicts of the Greeks and their strength. You can play 300 Shields video slot at any mobile casinos or at any NextGen Gaming casino. 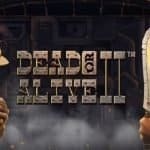 You can begin your play if you know about the options/ buttons available in this game. The “Lines” option can be used to Change the number of active paylines, ‘bet” option can be used to change the bet per line and the “max Lines” option can be used to activate every line. You can hit “spin” button to start playing the game for a chosen number of bet value. 300 Shields Slot contains wild as well as scatter symbols. The warriors are the wild symbols in this game and they can form a winning combination for you. 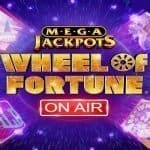 If you hit 3 or more scatter symbols (shields), you will trigger free spin feature, where you would get lots of free spins plus multiplier for your prize. 300 Shields slot is a great online video slot game which can fulfill all of your best wishes. You should try to hang-around with this perfect slot game.